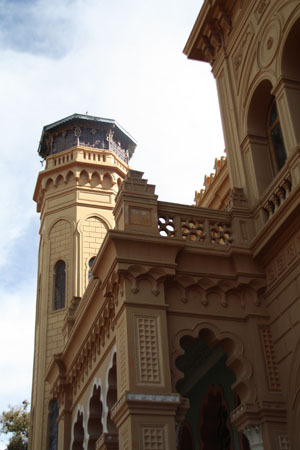 Just five kilometres outside the city of Sucre you will find the Castillo de la Glorieta. Unique in its style, it is one of the most extraordinary buildings of the Republican era combining gothic, mannerist, baroque, rococo, neoclassic and mudéjar styles. The castle was built by Don Francisco de Argandoña and Doña Clotilde Urioste de Argandoña, a couple who couldn´t have children. Instead, they decided to adopt orphans and the castle was built in order to provide the children with a home. Owing to this altruistic work the Pope León XIII gave Don Francisco de Argandoña the title of Principe de la Glorieta in 1898, after which the castle was also named. On the 27th of August in 1909 the prince died. 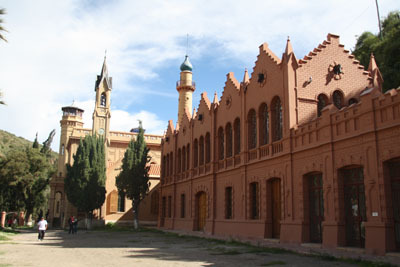 His body and the one of his wife now rest in a mausoleum in the main cemetery in Sucre. 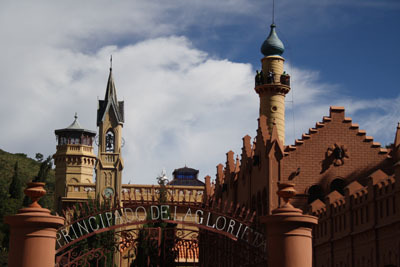 For information about tours to the Castillo de la Glorieta, please visit our tours section.